There are people in the world that will absolutely adore director Duncan Jones’ Warcraft: The Beginning, a fantasy epic based on the best-selling video game, World of Warcraft, hard-core fans of which will revel in seeing the in-game world brought to cgi-rendered life, the rest of us may struggle to understand what on Earth that appeal may be, though. Whilst not being an out-and-out awful film, it’s certainly colourful and diverting enough, Warcraft is as lumbering and clumsy as the film’s ten-foot tall Orc protagonists and there’s more than a whiff of Disney’s epic-fail John Carter about it. Set in the world of Azeroth, a medieval fantasy realm pulled wholesale from the minds of a million Dungeons and Dragons players, Warcraft centres around a clash-of-worlds plot device as Orcs, fleeing their dying home-world, come into conflict with the world of man. The portal through which the Orcs escape is powered by the dark magic of sorcerer, Gul’dan (Daniel Wu) and relies on human souls to keep it open. Learning that many of his fortresses have fallen to a new threat, the king of Stormwind (Dominic Cooper) Sends Commander Lothar (Travis Fimmel), Guardian Medivh (Ben Foster) and novice magician, Khadgar (Ben Schnetzer) to investigate. 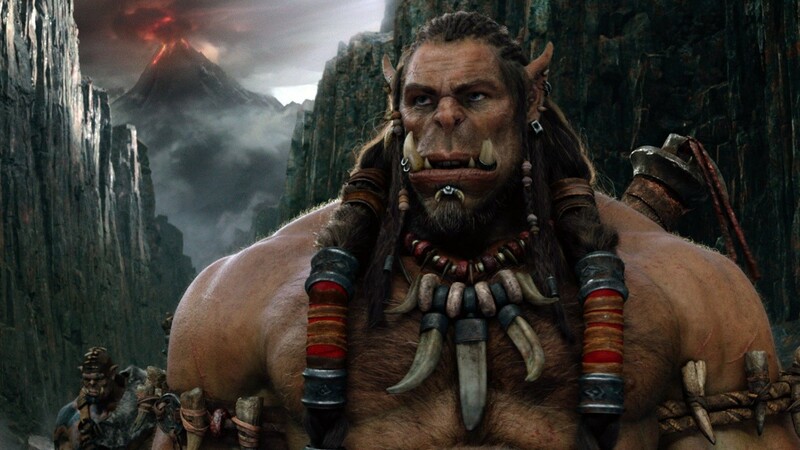 Meanwhile, Orc chieftain Durotan (Toby Kebbell) is beginning to suspect that Gul’dan’s magic may be responsible for the death of their home-world. 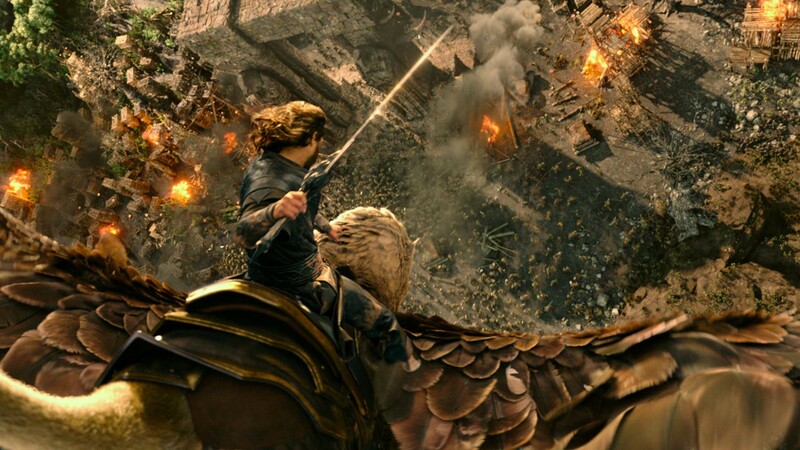 Whether Warcraft’s world building works or not for you will depend a lot on your experience with the game, I only ever dipped a toe in and, therefore, I found myself scratching my head for much of the film’s opening scenes. Jones is not aiming for the great fantasy epics like Lord of the Rings or Game of Thrones with his movie, rather Warcraft is more Conan the Destroyer or The Beastmaster in all their goofy glory. Coming from a background of smaller, character-led films (Moon and Source Code), this is his first foray into blockbuster epic territory and, unfortunately, it shows, the action and battle set-pieces feel at times confusing and blurred and the stakes never feel like they are escalating as it moves forward. With its mixture of cgi and real characters the acting tends to lack consistency, some of the tones and choices seeming occasionally at odds with the narrative and attempted feel of the movie. 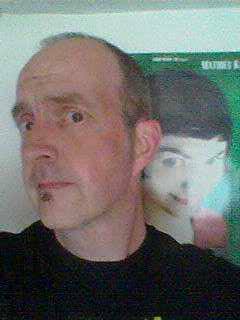 The cgi characters often feel more emotionally realised than the hammy, at times over the top and, at times, annoyingly quirky performances of the human actors. Warcraft: The Beginning is one of those rainy day kind of movies that, I suspect, people will opt for because there’s nothing else on. It’s the kind of film that many people will pick up in a three-for-two deal on dvd, watch once or twice and then leave on the shelf to gather dust next to John Carter and Wild, Wild West.